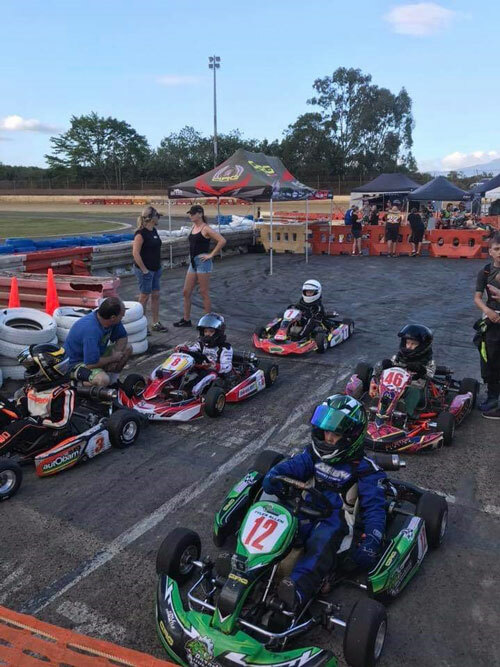 Saturday the 20th of October saw the Cairns Kart Club host the annual City of Cairns Titles. The track was fast all day seeing lap records in the Cadet 12, TaG Restricted Light and TaG Restricted Medium classes. 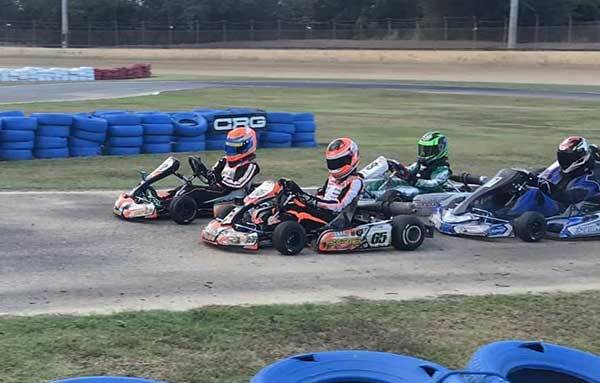 Fresh off competing in the Race of Stars event on the Gold Coast last weekend, local racer Seth Chellingworth defended his 2017 Title in the hotly contested KA4 Junior class. Seth didn’t have it all his own way though as teammate Summer Allen topped qualifying and won heats 1, 2 and 3 only to spin in the early stages of the final. Summer couldn’t close the gap to Seth as he defended his title with local new comer Jack Bugler Woodford coming in third. Also off the back of competing at the Race of Stars was Michael Janusz and Matthew Boylett who put on a master class of racing in the Cadet 12 category. Nothing separated the two in qualifying as Michael topped the sheets with a 24.334 and Matthew just behind on a 24.343. Michael managed to hold off Matthew in the final to defend his 2017 title in the process dropping the lap record for the class to 24.297. 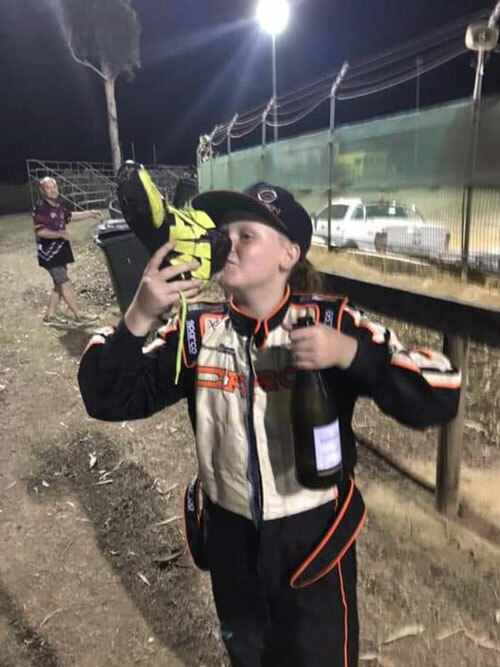 Cadet 9 saw local racer Samson Hunter uncatchable, leading from the front from start to finish followed by local Tyler Allen and travelling Townsville driver Mia De Courcey. Nothing much separated the first three in the KA3 Senior Medium class. Brodie Davis raced from start to finish in 1st closely followed by locals Michael Peake and Nic Beehag. Tag Restricted Light saw local Damien Bugler uncatchable, leading from start to finish in all heats and final, and setting a fastest lap of 22.859 in the final. Tag Restricted Medium saw a tight competition between Nic Beehag, Michael Peake and Craig Beehag. Nic ultimately had his kart setup on point for the final running away with victory while claiming a new lap record for the class of 23.025. Come presentation time some of the best performances of the day were put on with the obligatory champagne** showers for the podium placers and ‘shoeys’ quenching the racer’s thirst after a hard day racing!